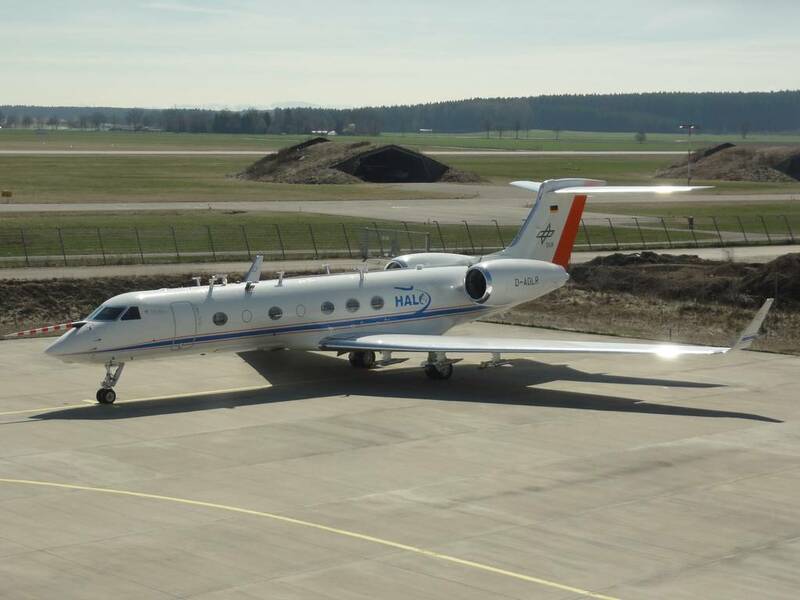 The experimental in-situ cloud investigations are carried out both on the ground (i.e. mainly at mountain measurement stations) and aircraft-borne. The ice particles are collected by a counterflow virtual impactor ( CVI). After drying of the ice particles in the airborne state within the CVI, their ice residuals are analyzed microphysically (number, size, morphology) and chemically (composition, mixing state) also in cooperation with working groups of other research institutes. 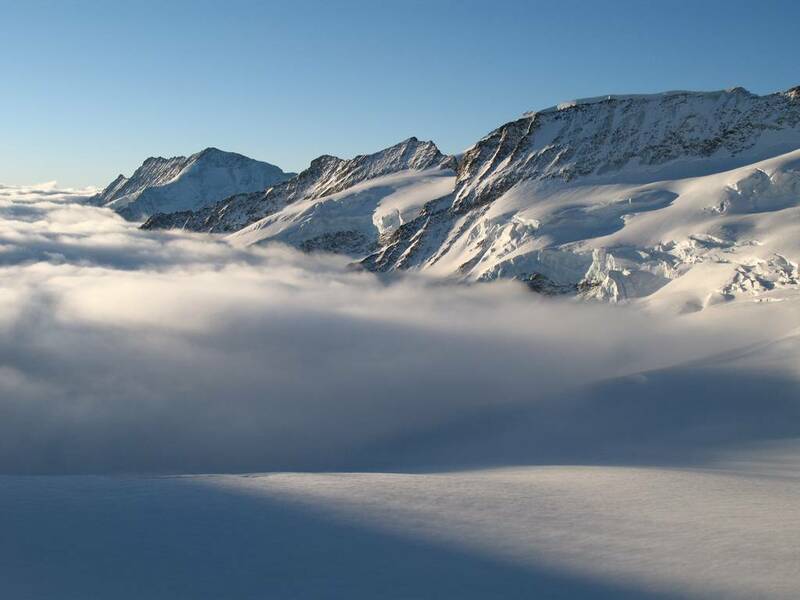 Current research projects in which atmospheric mixed-phase and ice clouds are investigated are INUIT and ML-CIRRUS. 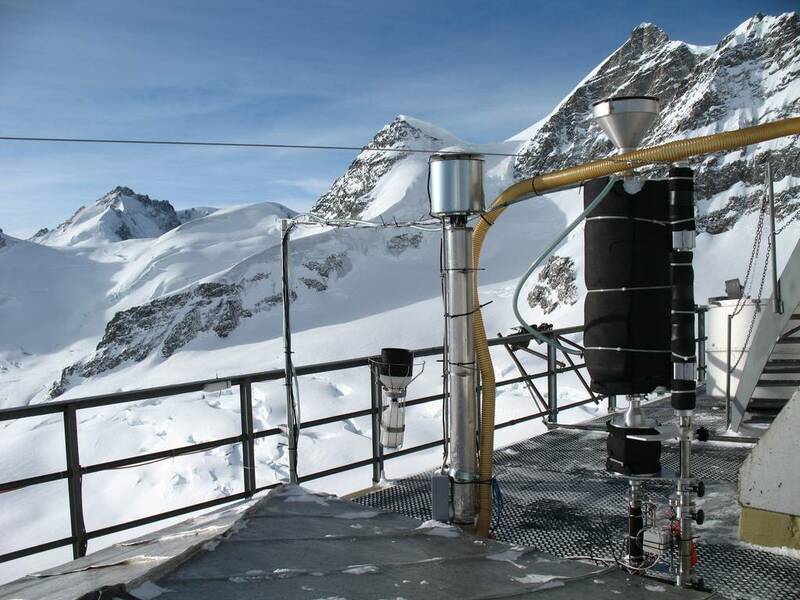 A few years ago, TROPOS developed a unique inlet for ground-based collection of small ice particles in mixed-phase clouds, the so-called Ice-CVI. 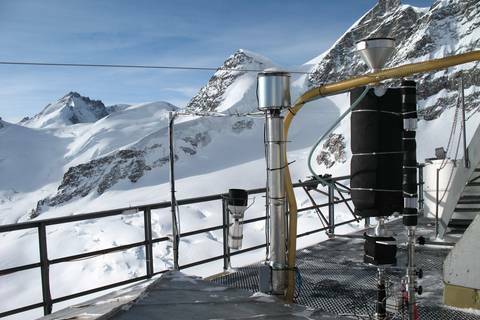 This inlet is specially designed for the highest European research station Jungfraujoch, where the probability of the occurrence of mixed-phase clouds is highest in the winter months. 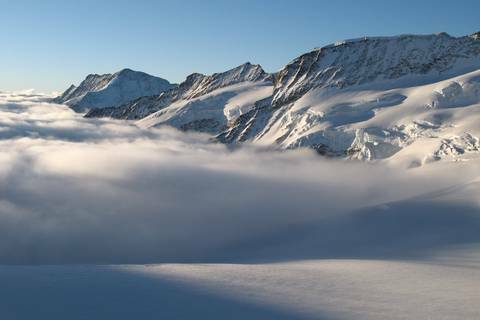 There TROPOS participated with the Ice-CVI in the international CLACE (Cloud and Aerosol Characterization Experiment) and INUIT (Ice Nuclei research UnIT) cloud field measurement campaigns in order to pursue the above-mentioned scientific goals for heterogeneous ice formation in real clouds and thus for atmospheric ice nucleating particles. In order to consider the IPRs to be analysed as atmospheric ice nucleating particles, the diameter of the collected ice particles is limited by the Ice-CVI (< 20 µm), since up to this size ice particles grow only by water vapour diffusion and hardly scavenge interstitial aerosol. Several inlet components separate larger ice crystals, interstitial aerosol particles and supercooled droplets, whereby the geometries and fluxes are dimensioned in such a way that no ice particle shattering or droplet breakup occurs. This project is funded by the German Research Foundation (DFG Research Group 1525, grant STR 453/7-2). The scientific objectives of ML-CIRRUS (project page) are, among other things, the investigation of the formation and development of natural and airborne cirrus cirrus in mid-latitudes. For this purpose, cirrus cirrus in flight corridors and near airports but also in clean air masses were measured. 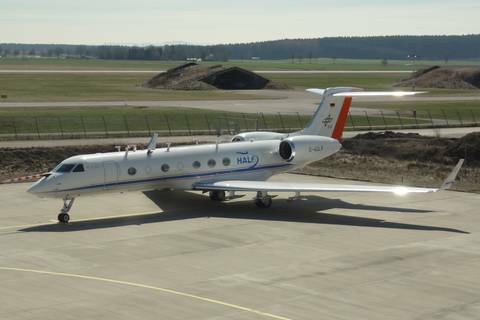 The measurements took place in spring 2014 with the German research aircraft HALO over Western, Southern and Central Europe. The HALO-CVI inlet was used to chemically and microphysically analyse the residues of the cirrus ice particles. This project was funded by the German Research Foundation (DFG Priority Programme 1294, grant ME 3534/1-2).